Lou Wells founded the business in 1985, since then Birdwood Motors prides itself on quality workmanship for all motorists, whether you have just purchased a brand new car off the show room floor or have a classic vehicle, or anything in between, we are here to meet your needs. We believe in safety, honesty and reliability at an affordable price. We believe safety is our priority and is priceless, however, understand the financial pressure of today’s society. Although we have said farewell to the Wells family due to retirement, (thanks Lou & Wayne) Our team, Enzo, Corey & Michael are here to help you no matter how big or small the job is. We believe communication, education and awareness of how to maintain your vehicle is important and endeavour to provide you with these qualities each time you visit us and even in between through our frequent updates on our Facebook page. 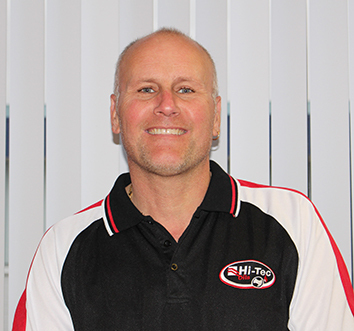 Enzo commenced his career at Northern Star Motors as an Apprentice in 1982, he later progressed to the Mechanic & Service Advisor at DJ Motors before becoming a partner at Birdwood Motors with Wayne Wells in 1992. Wayne has since retired and Enzo remains to lead his team to continue to deliver the same quality, old fashioned service his clients are use to, whilst providing them with the latest technology and diagnostic technology. Enzo enjoys spending time with his family and road cycling outside of business hours. 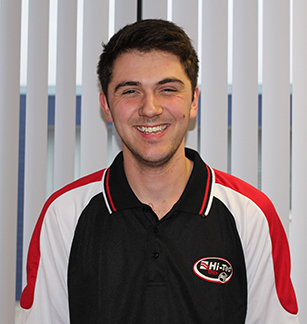 Michael joined the team in 2013 as an apprentice. He is in his third year and his passion and hands on approach is proving Michael will be an excellent technician in the making. Like most, he prefers the hands on approach to learning, and on the weekends doesn’t mind a bit of mud when he's out 4 wheel driving with his mates or tinkering with cars – it seems the oil is in the blood with this family as Michael’s dad is also a mechanic. Dedicated customer service and expert advice Birdwood Motors is your leading automotive service centre. Birdwood Motors has been servicing the Hobart community for over 30 years.